"We have been studying the Contaminated Drywall issue (formally referred to as 'Chinese Drywall', 'Defective Drywall', 'Imported Drywall' and 'Corrosive Drywall') for nearly two years. Our team of expert researchers, engineers, construction professionals, microbiologists and remediation specialists started in the summer of 2008 when clients first called NORMI looking for solutions. There has been a lot of 'misinformation' dispensed and 'gimmickry' solutions offered to address these problems but finally, we have found the solution and are proud to partner with Best Training School to train professionals on the assessment and remediation of Contaminated Drywall (CDW). The problem first required intense scrutiny and investigation through a variety of disciplines. We have looked at the building science aspects of the problem, IICRC S-520 and NYC Guidelines for potential mitigation/remediation solutions, microbiological analysis utilizing DNA sampling and straight microscopy to help us identify a more holistic approach to the problem and relied on our intense construction background to propose a solution. But that wasn't enough! Once you have a proposed solution, a mitigation/remediation protocol that works, how can you find someone who is well-trained AND insured to actually perform the work? 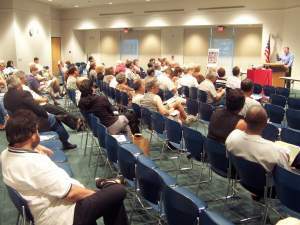 Now we have accomplished our purposes: provide a program that really 1) identifies the problem, through proper assessment, 2) effectively removes the source of the problem, through remediation protocols that are holistic, effective and specific to the unique job and 3) provides the customer with a guarantee that the problems WILL NOT return, a warranty aspect absent from many proposed solutions. Well-trained, highly skilled, licensed and insured professionals for assessment AND remediation with protocols that work-come see for yourself at the next Best Training School CDW Certification class near you!" The NORMI Certified CDW Remediator (CCDWR)-The NORMI Certified CDW Remediator is a fully licensed and insured construction professional who has met the stringent requirements associated with the mold remediation certification (NORMI Certified Mold Remediator) also offered by NORMI. Having been trained in the standard remediation protocols (IICRC S-500, IICRC S-520, NYC Guidelines, EPA, and others) the NORMI Certified CDWR fully understands how modifying existing cleaning, restoration, mitigation and remediation techniques accomplishes the overall goals of contaminated drywall mitigation/remediation. When implementing contaminated drywall mitigation/remediation the utilization of proper containment, establishing negative pressure, use of Personal Protection Equipment and chemical/mechanical sanitization techniques are vital to the successful project. The NORMI CDWR attends this training with a rich background of training and experience so projects can be initiated immediately upon completion of the course. The NORMI Certified CDW Assessor (CCDWA)-The NORMI Certified CDW Assessor is a fully licensed and insured professional trained in all aspects of IAQ-related and CDW assessment because, first and foremost, the issues related to corrosive drywall are indoor air quality problems. The "rotten-egg odors", the VOCs, relative humidity anomalies, and surface contamination all affect indoor air quality and must, therefore, be fixed and continually managed. The assessment process identifies those factors contributing to the symptoms in that specific and unique project then proposes protocols that mitigate or remediate the problem. The solutions are specifically tailored to match the design, construction and nature of the problem. In some cases the contaminated drywall is asymptomatic and requires only the installation of IAQ management techniques, light mitigation and/or containment. 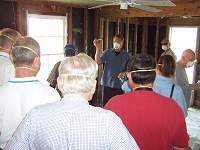 In other cases, removal of the contaminated drywall is in order. Rather than taking a "let's kill the flea with an elephant gun" approach, the NORMI Certified CDWA is trained to match the solution with the problem. There will be no "unnecessary" redundancy just to cover up or mask the problems. The problems are identified and protocols written to solve the problem at its source. 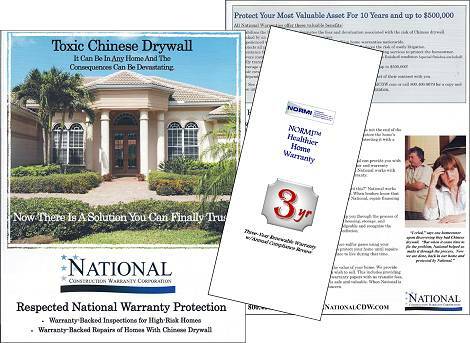 The NORMI Healthier Home Warranty is the goal of all mitigation/remediation projects. A home that has been properly assessed and remediated qualifies for the ongoing warranty which guarantees to the homeowner, the problems were solved. Upon completion of the project the homeowner is presented with a NORMI Certificate of Sanitization as a third-party confirmation that all protocols were followed resulting in a post remediation verification that all levels of IAQ are in "expected/normal" ranges. The NORMI Certificate of Sanitization then becomes the basis for the ongoing warranty. Should the homeowner elect to continue this warranty, an annual compliance review is scheduled and ongoing IAQ management through IAQ monitoring and maintenance is implemented.